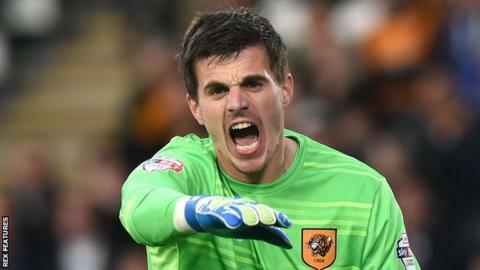 Hull City goalkeeper Eldin Jakupovic has signed a two-year contract extension to stay with the Premier League club until 2018. Former Switzerland international Jakupovic is Hull's longest-serving player, having joined from Greek side Aris Salonika in July 2012. The 31-year-old has made only 28 appearances since signing for the club. But he started in all three of Hull's Championship play-off games last season to help them earn promotion.